Hohepa Smith has been with Countdown Meat and Livestock in Auckland for over eight years and has recently completed his National Certificate in Meat Retail Butchery (Advanced) (Level 4). Prior to commencing his butchery apprenticeship, Hohepa had been working at Countdown Meat and Livestock for over five years. “I decided to undertake my butchery apprenticeship because I wanted to learn more about the industry and have a better understanding of how to produce and cook meat," says Hohepa. The talented apprentice embraced the opportunity to take up a leadership role very early on in his training. 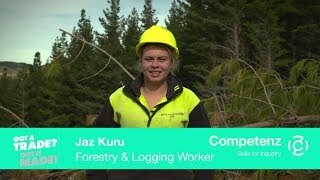 “At the time of beginning my apprenticeship there were four other apprentices who started the same programme as me, only they were new to the company. During his three-year apprenticeship, Hohepa learnt many new skills, including the practices of a hand knife butcher. In 2015, Hohepa won the prestigious title of Apprentice Butcher of the Year, a nationally recognised butchery competition involving butcher apprentices from Progressive, Foodstuffs and other privately owned butcher shops. He is grateful for the new skills and confidence he gained after being awarded this honour. “I was always the quiet guy at work, very shy and introverted. However, after winning the Apprentice Butcher of the Year competition I had to do public speeches and media interviews, something I was never comfortable with or had the confidence to do. While preparing for the competition, Hohepa actually helped the other apprentices prepare for the same competition. Hohepa credits his butchery skills and his leadership skills to the operations manager at Countdown Meat and Livestock, Riki Kerekere. Hohepa is a Got a Trade? Got it Made! Future Business Leader.